Spring Free with Pendaflex Products! 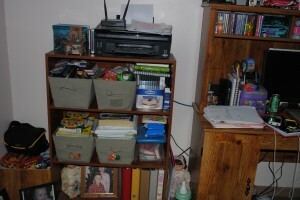 Get your office or home office organized! I love using Pendaflex products! Their products make it so easy to keep me organized! I received a wonderful opportunity to work with Pendaflex on a review and when they first came to me to ask me to try out some of their products, of course I was thrilled! A few years ago, our computer was just used for whatever. It used to be just a nice thing to have when we were bored and didn’t have anything to do. After about a year and a half ago, my computer and desk area have kind of turned into my own home office. 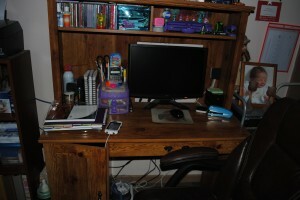 I never knew how much blogging could turn my computer/desk area into a home office. 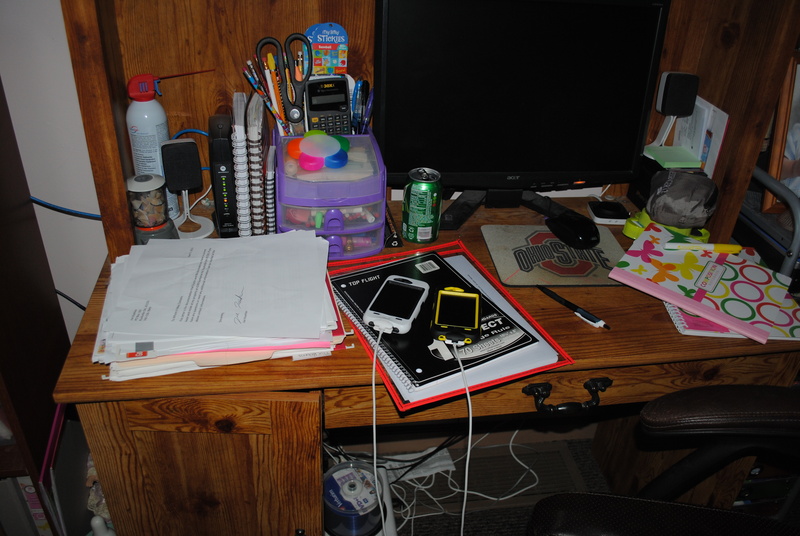 I have so much stuff cluttered at my desk all the time! On my desk and bookshelf next to my desk, you would typically find papers everywhere. They could be bills, things that have to do with my kids’ school, my husbands work stuff, and of course my blog stuff that may include media/press releases, information on sponsors’ company and or product(s) I am reviewing and lots more. I usually have a jumbled stack of papers on my desk, another stack of folders and what-not on the floor and tons of stuff in my bins I have on my bookshelf. I really hate going through those bins! 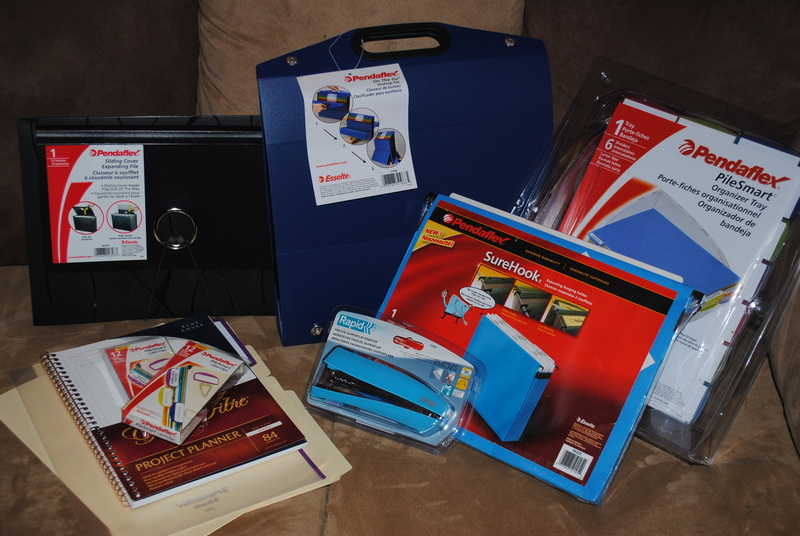 I was sent quite a few Pendaflex products to try out and organize my home office! 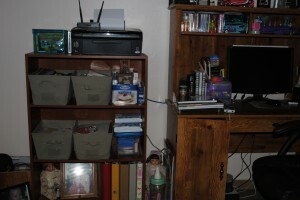 I will tell you all about these fabulous products and then show you before and after photos of my newly organized mess! 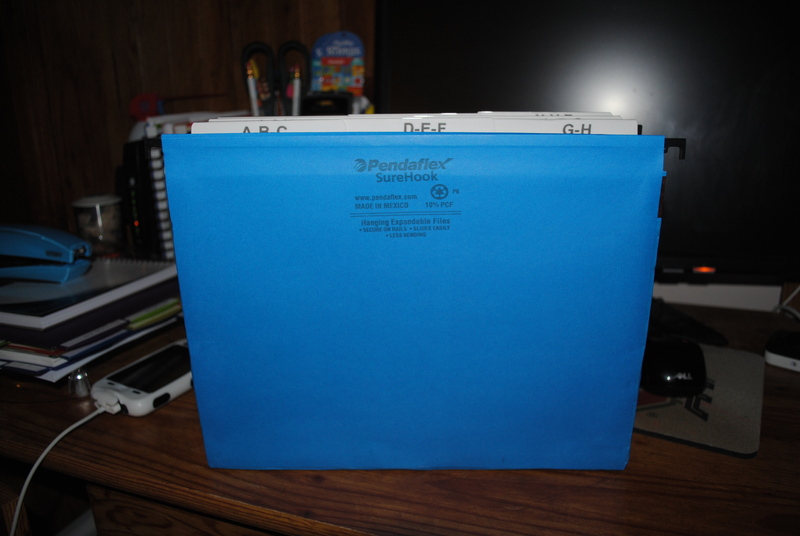 The first product that I received was the Pendaflex Pile Smart Organizer Tray. This is absolutely amazing. 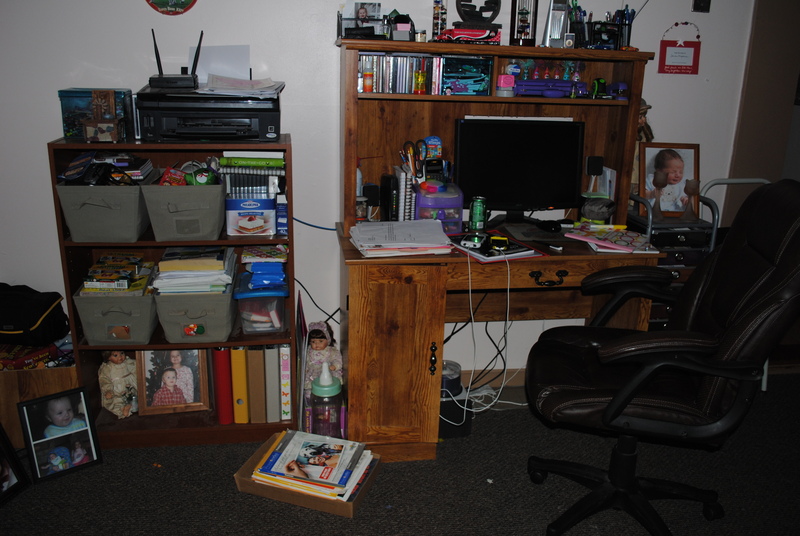 It took my very disorganized mess and turned it into a nice and neat pile of mess! Now that pile of a mess is now organized and so easy to find everything I need. The Pile Smart is so easy to use. Its a tray that comes with 6 dividers with tabs along the top and side so that you can get to what you are looking for really easily. You simply stack your papers in the tray, lay a divider on top with the label, add another stack of papers with another divider and so on and so on. Simply lift up the tab to get to the papers you are looking for! The dividers are hard plastic too and very durable. 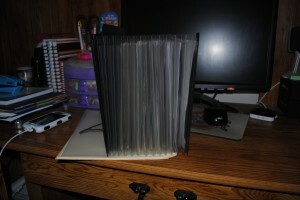 I even have a small stack of printer paper and photo paper separated by their own dividers. I don’t know how many times I have tried to keep that kind of paper put away neat and in a place that’s easy to get to. The rest of it, I keep put up and out of the way and just refill my tray when needed. 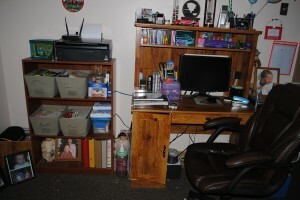 I also have a place for “household” where I can put our bills to be able to find them when I need them, my “Blog Stuff” that I am working on for the week, my son’s school stuff and my daughter’s school stuff. The great thing about the tabs? 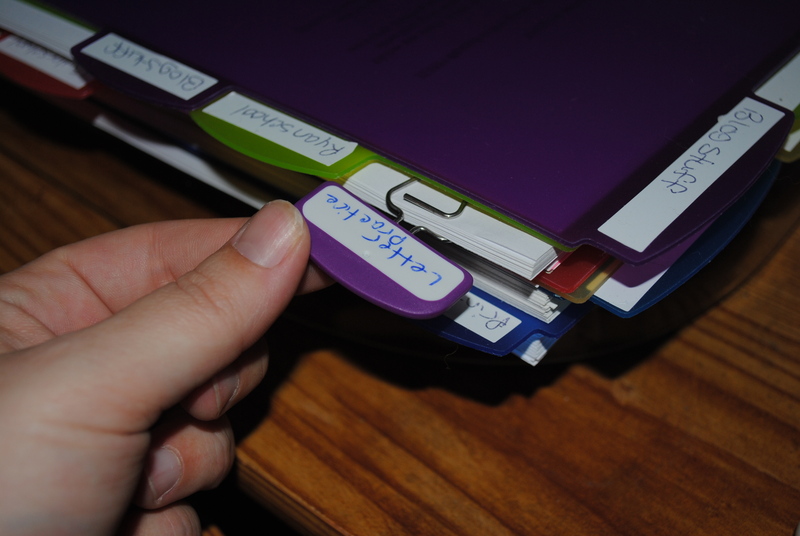 you can clean off what you wrote and re-label them when you need to! I also received Pendaflex Pile Smart Label Clips that also work well with the Pile Smart Tray. If there is something that you would need to subcategorize in your tray, these little babies do the trick! So, for example, our son will be getting ready to go in to Kindergarten this fall and he has some stuff to work on so that he can practice over the summer. 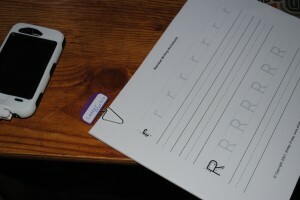 One of the things he has is a dry erase pocket that we use to insert letter practicing sheets so that he can practice over and over again without wasting so much paper. There is a small stack of these so I found that the Pile Smart Label Clips work great by clipping these papers together (they each hold about 20 sheets) and then I can put them in my Pile Smart Tray with his school papers! Another great product is the Pendaflex Sure Hook Expanding Hanging Folder. We have a filing cabinet in our bedroom but all we have are those individual hanging folders. 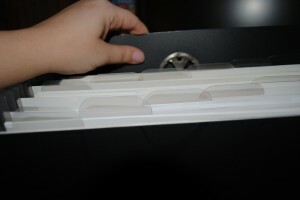 The Expanding Hanging Folder allows my husband to keep all his work papers in order. He’s the manager at work, the head honcho, and has all kinds of stuff at home such as the employee handbook, insurance information, safety procedures and a lot more mumbo jumbo. Instead of throwing them all in one individual folder and have to go through the whole thing to find what he is looking for, everything can be kept separated (9 filing sections) in one folder making it so much easier to find exactly what he is looking for. It definitely makes things easier for him when someone calls asking him for something! It’s also very durable and the hooks stay on the track! 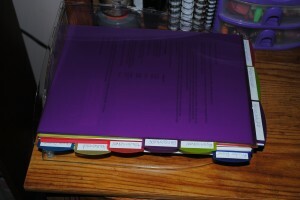 I made good use of my Pendaflex Expanding File with Sliding Cover. We keep all our income tax returns up to 7 years and of course all those returns, W-2’s and other tax information for each year is just thrown in an idividual folder. 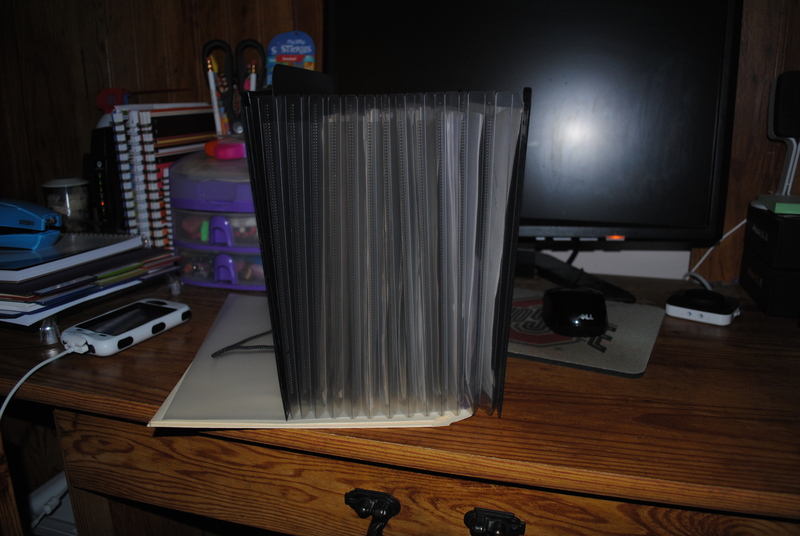 It also makes it kind of hard to keep things from falling out because that folder has gotten pretty large over the years. The Expanding File with Sliding Cover has 13 filing sections which I thought was perfect to transform that tax folder into an organized file that can be put away instead of the rediculous folder that we didn’t know what to do with! The elastic closer strap keeps everything in it secure so that nothing comes out. 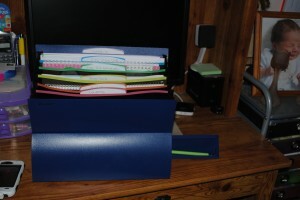 It keeps everything compact too which really amazed me with all the papers I have in mine! 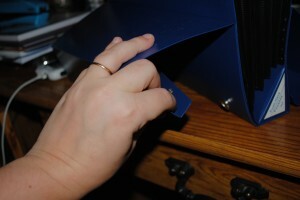 The cover slides down inside it so that when you are getting something out or looking through it, you can sit it up after folding out accordian style. It will sit on it’s own making for a wonderful transported filing cabiniet! 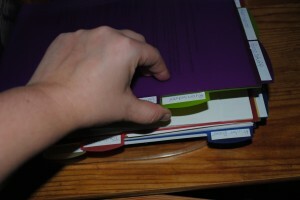 It also comes with labels that you can stick on the tabs too so you know what you are looking for. It’s so easy to take with you too. There is so much room inside, it’s almost unbelievable how compact it is when its all closed up again. 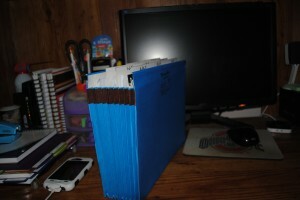 This is just to give you an idea of how big it can really be and how much stuff you can organize inside. 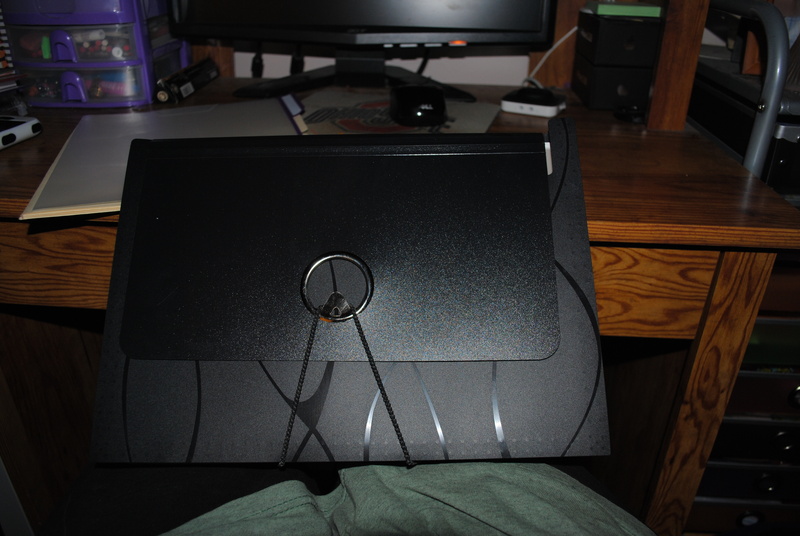 I probably could have pulled it apart a little more too. I still can’t believe how much it conpacts up when it’s closed. Like I said, this is used for our tax papers now and I actually saw that we have taz returns and all tax information all the way back to 2001 so there is a LOT of paperwork in there! I absolutely LOVE the On The Go Desk Top File from Pendaflex. 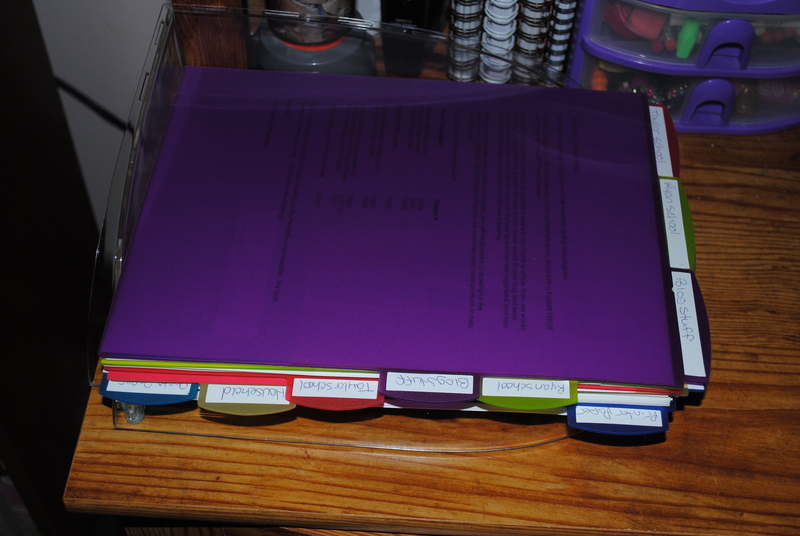 This has made my blog stuff organization so much easier. 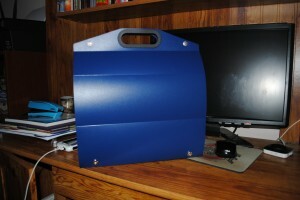 It’s made of a tough durable plastic and inside are 9 sections which can be labled. 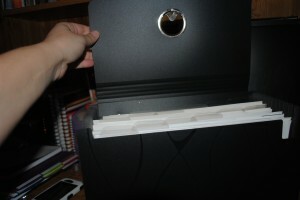 It closes up with a handle at the top so that everything inside is secure. See the snaps at the bottom? There are also snaps on the back side at the same location. You can transform this handy carrying file into a free standing desk top file! All you have to do is fold down both sides (front and back) and snap the snaps closed on both sides. 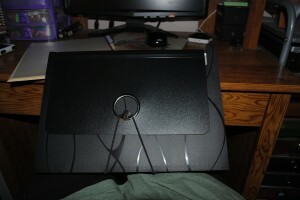 There are creases so that you know exactly how to fold it to line the snaps up. 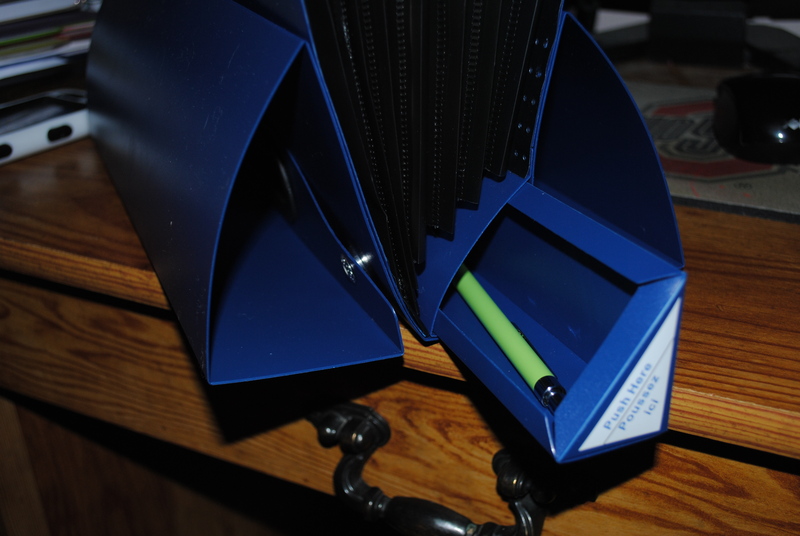 There is also a triangular shaped piece that slides out at the bottom where you can store pens, clips, ruler, whatever you may need inside. That way, you have a little of what you need from that desk drawer when you have to take your work with you! This is what it looks like when your ready to get to work! I like to keep all my papers from sponsors, companies, and PR representatives that I work with even after I am finished writing my blog posts because I have continued working with a lot of them. I like to keep all my information just in case there may be a time when I am working with one of them again and need to get out my old information. Those are usually filed away into my binders but a lot of time, it takes me a while to get them there. So I have created a space in my Desk Top File for all papers that need to be filed away. These get moved in there after I am finished with my work. I have another section for things that are due and another section that are due as soon as possible. It has definitely made my life a bit easier. Now I don’t have to go looking and digging for something saving me a lot of time! After I am finished working, I can fold it all up and put it away and out of site! 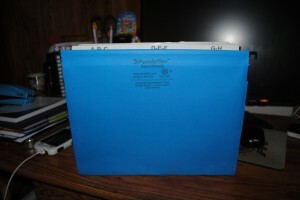 I also recieved a GoldFiber Project Planner Notebook which has been amazing helping me to keep on top of stuff. I write everything down as well. That way, I know what projects or blog posts that I need to write and the Project Planner Notebook allows me to write down everything I need to know. What the “project” is, what it’s for or about, when it’s due (if I have a deadline), and space for each one that I can add my own notes or information that I should include. I also received a couple Divide It Up Multi Section Folders which look like you typical manila folder but inside are sections (not pockets) that you can separate different papers. Another great folder that I received is a Pile Smart View Folder which can be labeled and works great with the Pile Smart Tray as well. Our daughter has book reports due at different times in the school year and she was finishing up her last one in the last couple weeks. She kept all her work in that folder (it’s clear plastic with a tab at the top) and placed it in her school section in my Smart Pile Tray so that she can easily get to it again. I also received a Rapid FREEZE Stapler which is also amazing! I love using that one more than I do my old one! 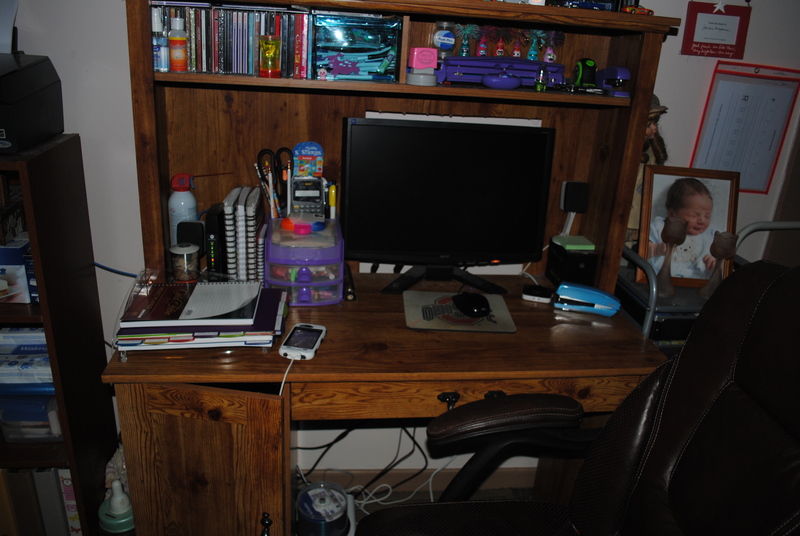 Now that my desk is neater and my overflowing bins on my bookshelf has been diminished, I have more workspace and can get work done more efficiently. Being a stay at home mom all at the same time (with a 10 year old, 5 year old, and a 1 1/2 year old), I can use all the help I can get! Now that I can get things done easier and quicker, I have more time to myself. That’s a good thing now since school is almost out and summer is just starting. I am serious when I say I spend more time finding everything I need to get something done than I do actually doing it! Thanks to Pendaflex, I have all the help that I need! Hmmm, what to do with my time? Well, we got our swimming pool set up and we have some summer fun planned. It’s hot today and my sister and nephew are actually coming out today and we are swimming. Now look at that, I got some of the work I wanted to get done already today and it’s only 10am! Buy It: To buy these products, or any other of your favorite Pendaflex products, please visit the Pendaflex website to look for more information on the products and where to buy. 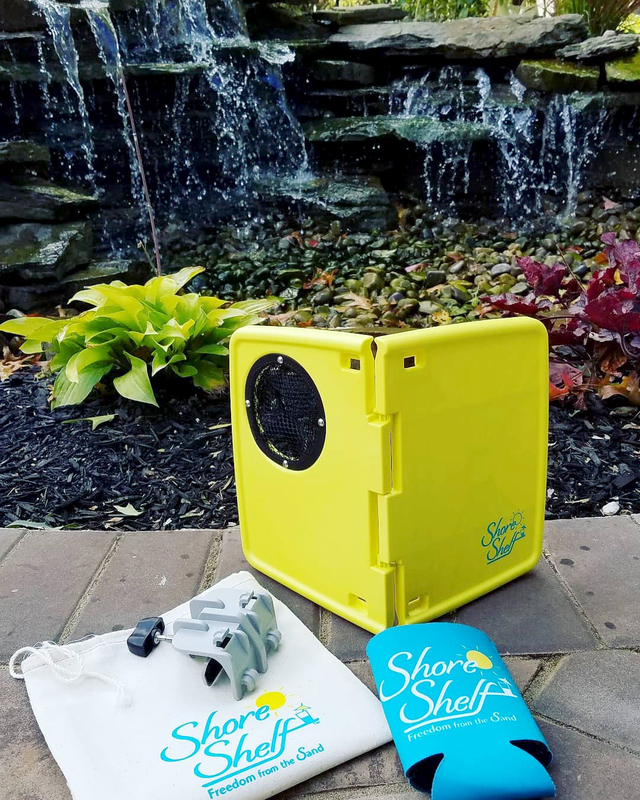 I can say for sure that they have some unique and very useful products to get you organized! Esselte/Pendaflex and other products and or information was provided to me for free from Esselte for my use and review. I was not paid to write my review and my opinions are 100% my own. By writing my post, I am also eligible to enter their “Pendaflex Spring Free Blogger” contest that is sponsored by Esselte Corporation and by entering the contest, I have a chance to win a $500 gift card based upon my review. I was also asked to mention their Way Beyond Folders photo/video contest that they are currently running. To enter the contest, all you have to do is pick one or more Pendaflex products and create a video or take a picture showing us one creative way to use these products outside of the home or office. You could win an Apple iPad, an iPod Nano, an iTunes gift card, and Pendaflex products. Check the link below for more information and enter! Contest is run by the company and not me. If you have any questions, please read their information to find out how to ask questions or contact them. I am just sharing this news with all my readers so that they can enter this fabulous contest! Finally! Halo ComfortLuxe, Swaddle Designs, and The Night Night Book Giveaway Winners! 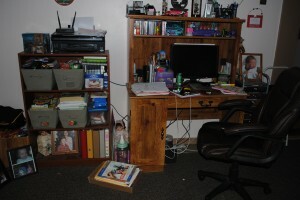 I love having an organized home and office. These products look great, I will have to check out their website! I’m totally into organizing and tidying up. I keep all our bill payments (when not online) in a box. It’s time to upgrade! Wow, this would be great for taxes! I am always interested in organizational tools!